Wow where did the past 10 days go to ...well I have been busy making a few family Easter cards and another project which will be revealed soon. 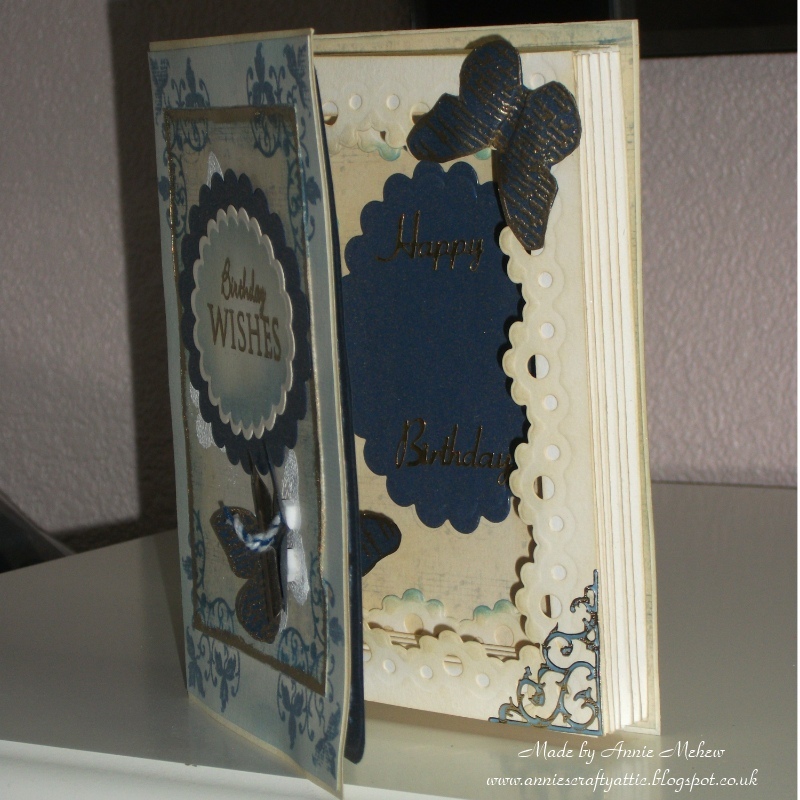 As it's too soon to put my Easter cards up here I have had to search through some of my old cards... one of my favourite 3D cards to make are Faux Book cards quite a lot of basic preparation but once decorated they do look lovely. 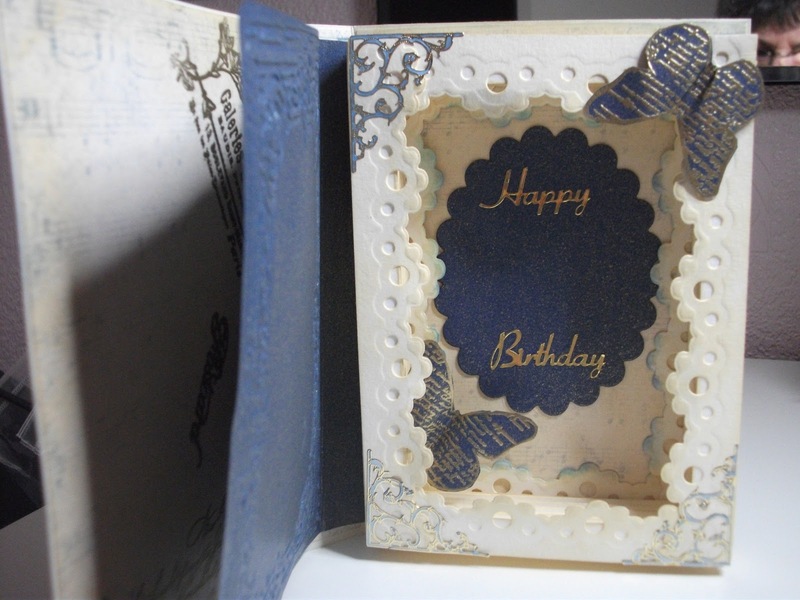 Sadly the only pics I could find were of an unfinished card I was making for a friend's 60th birthday ( I use these cards for milestone birthdays). 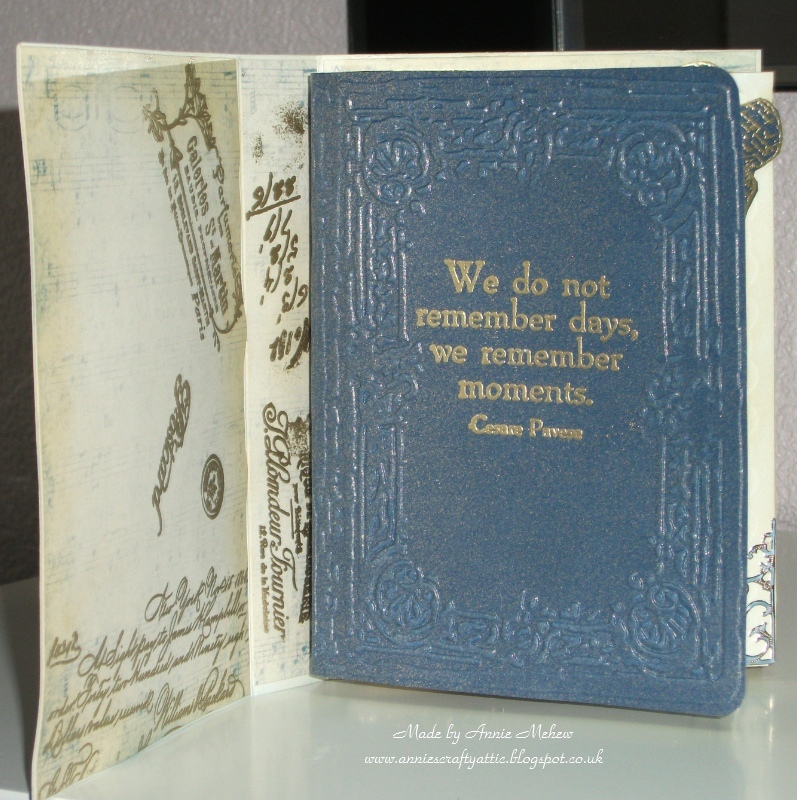 The card can be made any size you like, the outer cover is made from a piece of card big enough to make a front and back cover plus a spine. 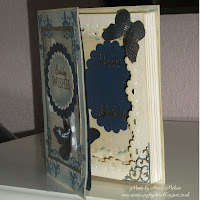 The parts that form that make the actual faux pages are lengths of cards folded concertina style. Four of these pieces are slotted together to make a rectangle with a recess in the centre. I decorated the back of the recess before adding the faux pages around it. 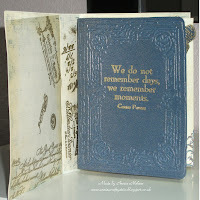 I stamped and embossed the sentiment onto some lovely heavy pearlised vellum, then embossed it with the embossing folder, when I was cutting it out I left enough paper to tuck behind my faux pages so that when the 'book' was opened the flyleaf still covered what was inside. All that was left to do was the fun bit ... all the decorating I was making this one 'shabby chic' with lots of labels and carte postale type stamps and of course butterflies. The inside of the finished card read Happy 60th Birthday.